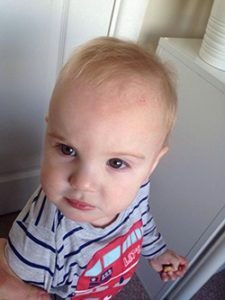 Dylan, a 1 year old beautiful baby boy was brought to see me because of eczema on his forehead, neck, stomach, arms and back. His skin was very dry, red and raw and the rash when cracked would develop into crusty raw sores on his back. He had an intense itch which was worse in bed at night, in the heat, during winter, or when he got upset. The itch also disturb his sleep which was distressing as his parents tried everything to soothe him. When he scratched there was often a colourless discharge and the eruptions then formed crusts. 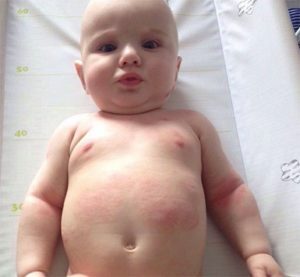 As a baby his skin was very dry and at about 6 weeks as red dry patches and spots progressed from his head to chest, to tummy, elbow folds and legs the doctor diagnosed Dylan with eczema. 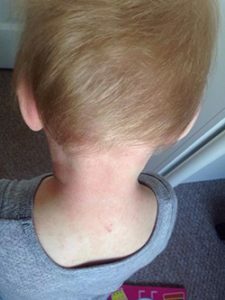 Four months after starting homeopathy treatment his eczema has gone and he is doing great! “We visit Eileen when Dylan was 1 year old to get help for his eczema which started at 6 weeks old. His skin was really bad and because of the itch he wasn’t sleeping well at night. What I liked from the very beginning was the detailed assessment about Dylan’s skin and his health. Eileen paid scrupulous attention to all details. She is very understanding and patient. You can really see that she enjoys working with kids. After taking his first remedies we could immediately see positive changes with Dylan’s skin. This continued with each visit and four months on his eczema has cleared up. I would highly recommend Eileen as a specialist in Homeopathy. I believe that Homeopathy is the way to go!!! The remedy I used in this case was Sulphur. I also used Calendula 9X and moved onto 30C to support the healing of the open skin wounds. 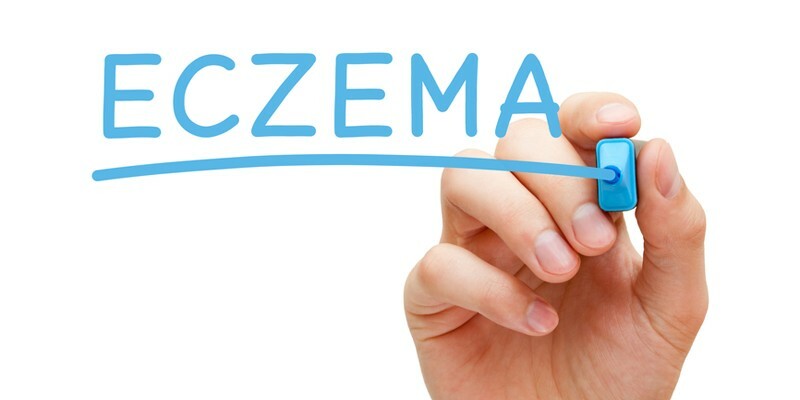 There are 100’s of possible remedies for eczema and it is most important for chronic conditions like this, your prescription is individualised according to your specific needs and your case is managed under the care of a homeopath. IT IS NOT RECOMMENDED to use Sulphur or other remedies routinely for eczema or other skin conditions to avoid unnecessary flare ups. 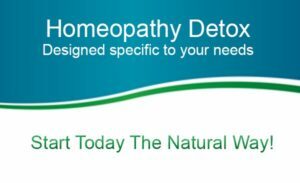 In Homeopathy we treat the root cause of the problem. To do this we look at all aspects of your health including family history, previous and current ailments, possible triggers, reactions to stress etc and the first consultation is very detailed. You can read more about what a homeopath wants to know for eczema and other skin conditions such as dermatitis, psoriasis, acne, skin rashes or eruptions in this article on skin health. 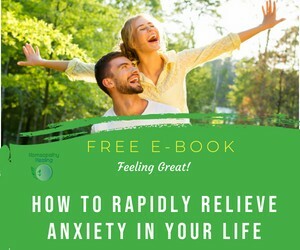 Like to get help resolving your eczema naturally? If you are suffering with eczema or other skin problems and would like to find a natural way to resolve your skin condition, you can book an appointment by giving me a call on Tel: 086 0891037 (International: +353 86 089 1037) or send me an email and I’d be delighted to help! 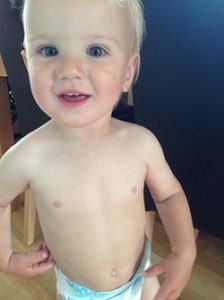 Permission has kindly been given by Dylan’s parents for Homeopathy Healing’s use of these photos.